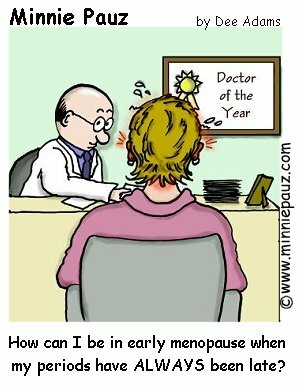 Some women start feeling menopause symptoms in their mid-30's and others not until their mid-50's. How are we supposed to know what the standard age is? We don't! All we have is a range and the details must be guessed at, but that isn't even possible unless there is some pre-education about what to expect so we don't get blind-sided when our menopause starts.